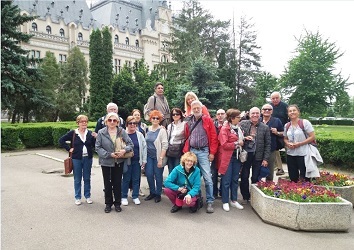 We are back from a very interesting tour of Romania and Moldavia: we really enjoyed both countries. First of all let me point out that we had a great guide and a superb driver. We could not ask for more. -Good choice of places to be visited. -Superb choice of restaurants, excellent food and great menus. -Hotels: all very good except the one in Brasov: a good hotel but the only one not central hotel. Overall it was a great tour and I thank you for your precious assistance. Everybody was fully satisfied of the whole tour. Keep well and stay in touch for future plans !! !